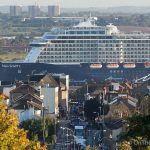 LONDON saw its biggest ever cruise ship christening yesterday when Viking Sea arrived in town. 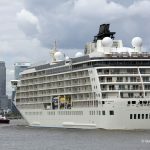 The brand new, 227 metre long cruise ship sailed up the Thames to arrive at Greenwich shortly after midday. 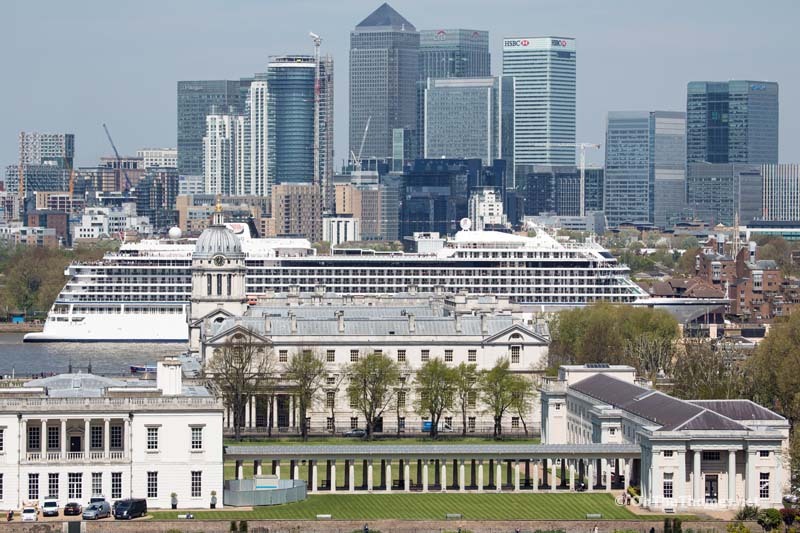 28 sailors were manning the yard arm of Cutty Sark, the iconic clipper ship, at Greenwich to welcome Viking Sea to London. 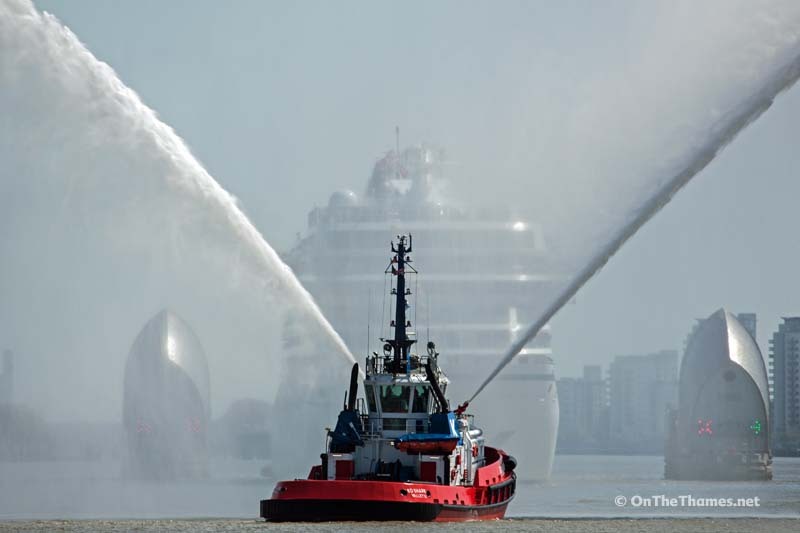 The cruise ship, capable of carrying over 900 passengers, arrived on the Thames on a beautifully sunny May morning, accompanied on her journey by a trio of Kotug tugs, one of which provided a water salute as the ship transited through the Thames Barrier. The godmother of the newly-christened ship is Karine Hagen - daughter of Viking CEO Tor Hagen. 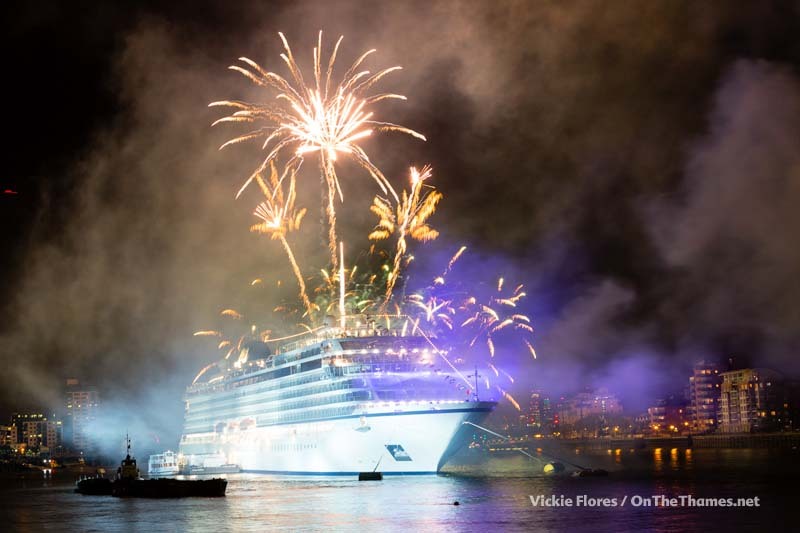 The day's events climaxed with a stunning fireworks display launched from two barges in the Thames shortly after 10pm last night. 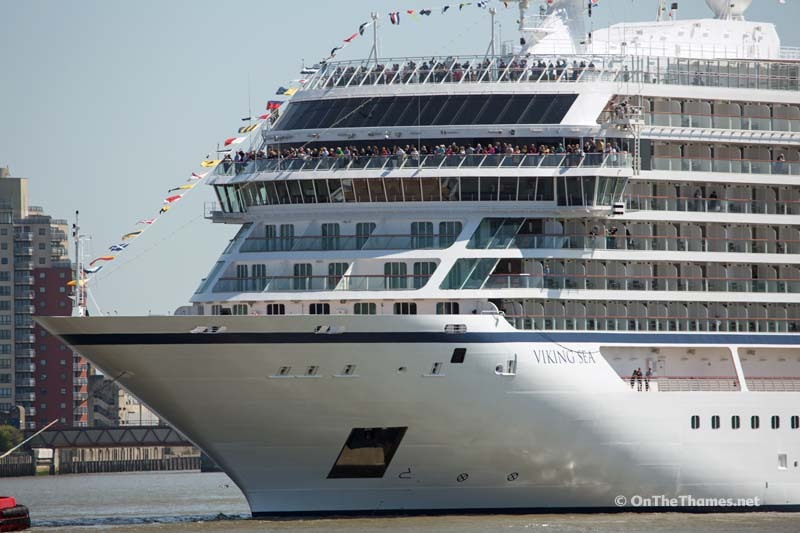 Viking Sea is the sister ship to Viking Star - a vessel that set new records when she moored at Greenwich Ship Tier last year on her maiden voyage. 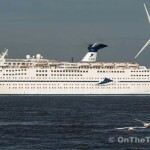 She departed the capital today, setting off from Greenwich shortly after 1pm. 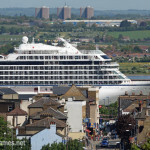 Gravesend rooftops in the foreground as Viking Sea passes Tilbury power station. 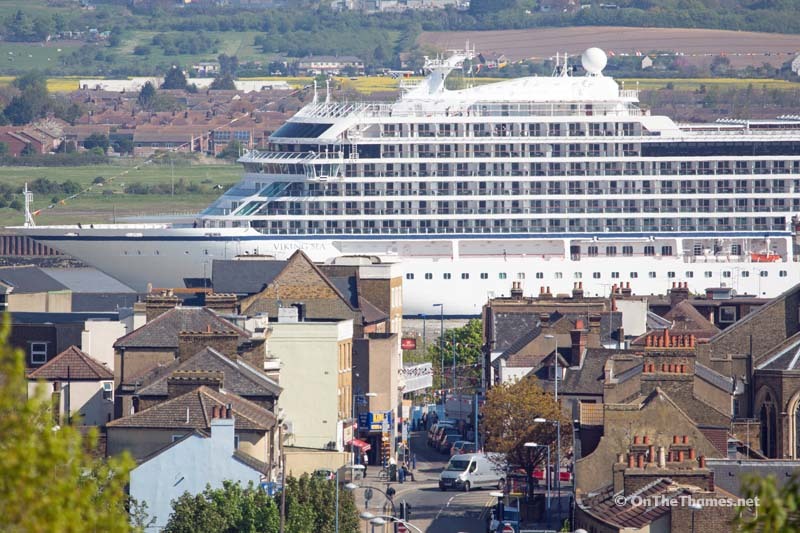 Although small compared to large cruise ships, Viking Sea is bigger than other cruise liners to visit London and dwarfs Gravesend she sails past. 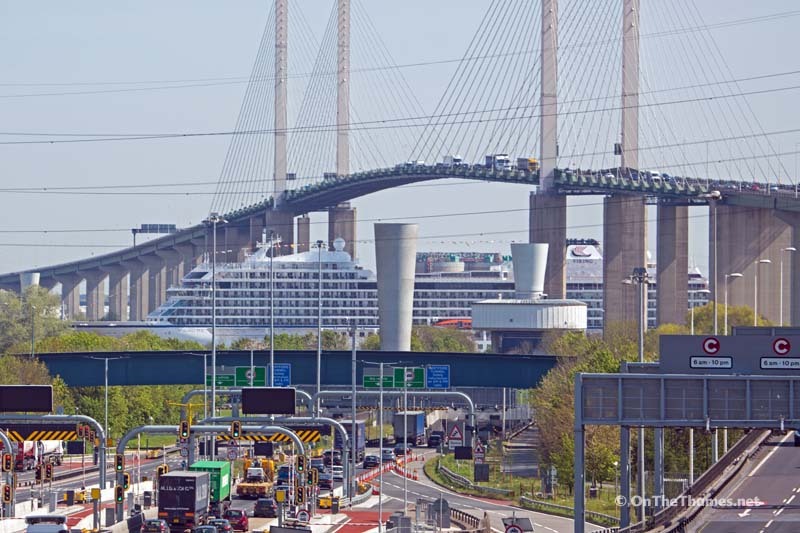 As traffic queues for the Dartford Bridge northbound and comes over the QEII Bridge southbound, Viking Sea slips gently by. SD Shark awaits the new ship and fires a water salute. 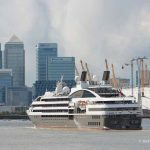 Viking Sea transits through the Thames Barrier. 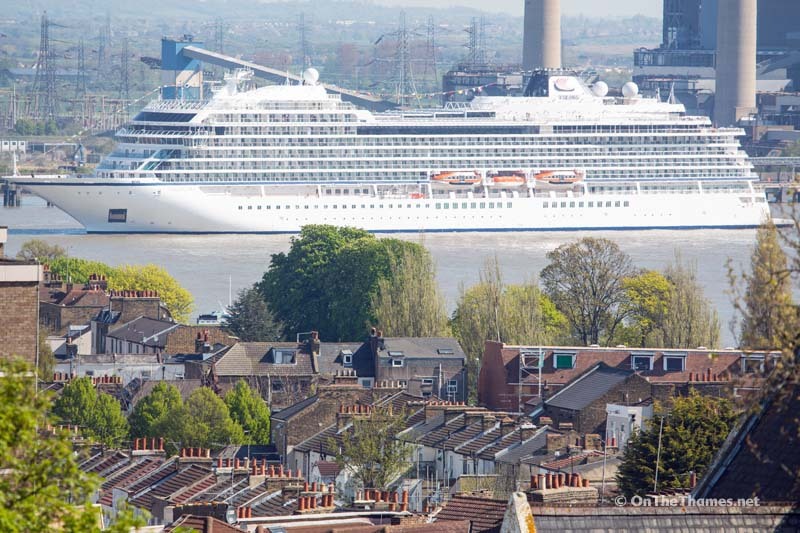 Passengers on board crowded on decks as London's landmarks come in to sight. 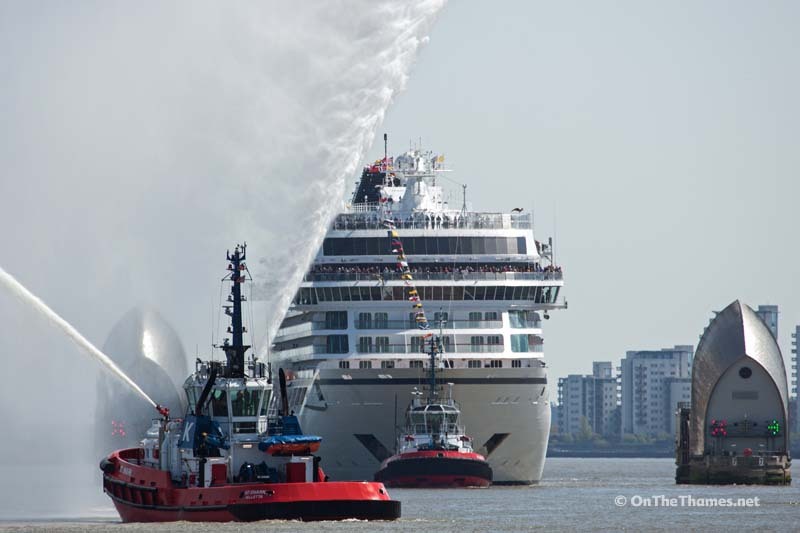 Having been turned around just past the Dome, Viking Sea is towed backwards towards her mooring at Greenwich Ship Tier. 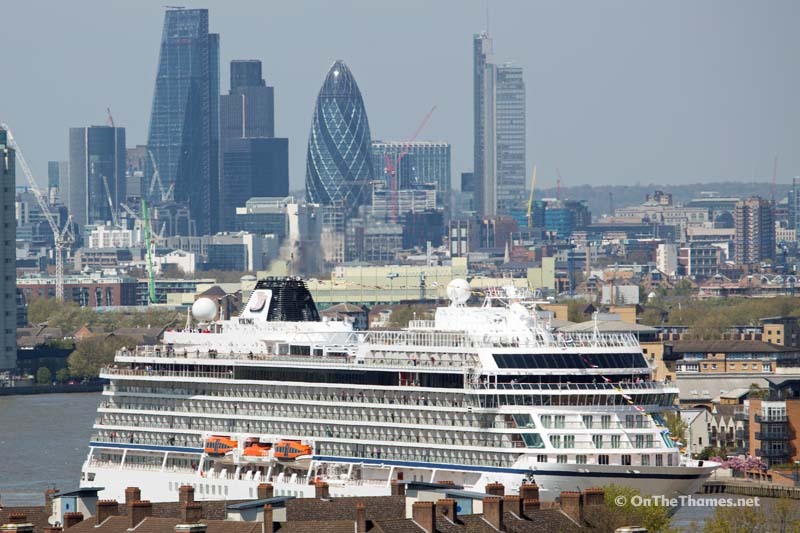 As Viking Sea approaches her mooring, the City of London skyline becomes visible in the distance. 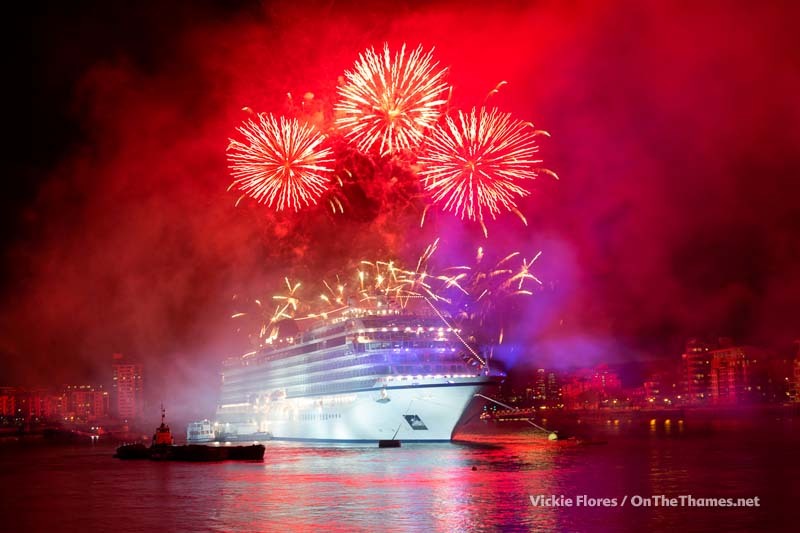 The ship christening was celebrated with fireworks on the Thames shortly after 10pm. Photo by Vickie Flores. Fireworks were launched from two barges as spectators watched from along the river front. 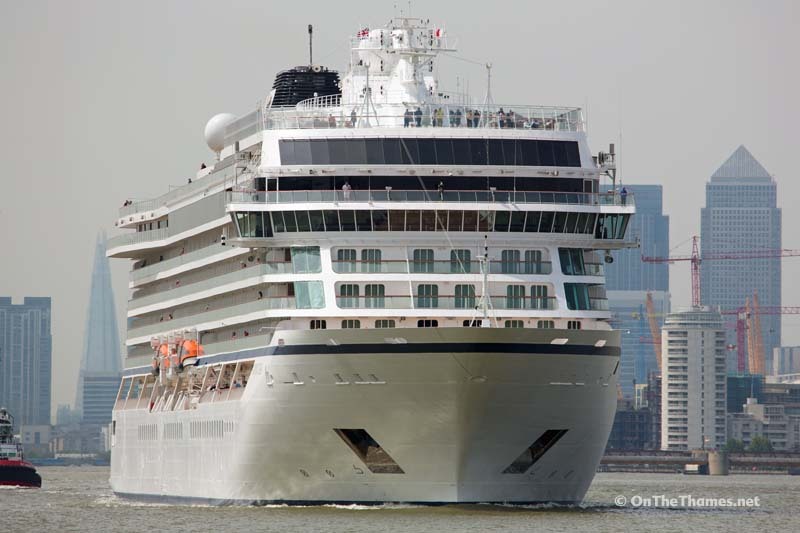 Viking Sea departed the capital this afternoon, bound for Bergen. I got a video clip of the firework display if your interested? Hi Iqbal – sure, be great to see it – is it online somewhere?